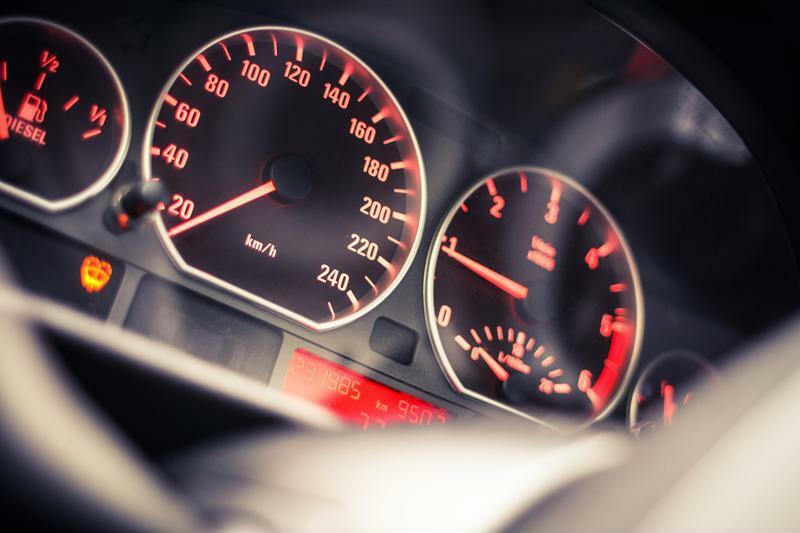 RPM and Torque are some of the most commonly used terminology in the automotive industry, though few know what the meaning of the two terms actually is and how they translate to an actual driving experience. RPM stands for revolutions per minute. The basic understanding of this is the calculation of any object revolving in a circular motion around its orbit. On the other hand, Torque is a form of measure that determines the amount of load of a vehicle at any given point of time. The torque varies in different vehicles depending on the RPM. The RPM is a type of determining factor for any form of power in the vehicle output. The torque of every vehicle is calculated based on the RPM at any given point of time. This basically means that the Torque of a vehicle’s engine depends on the RPM, however the RPM of the vehicle’s engine is determined on the power output of the engine. The torque is considered as a primary factor for determining load bearing vehicles. Since diesel engines are generally large carrier vehicles, it is considered to be the defining factor or selling point of the manufacturer. RPM, as a general power determining factor is commonplace to both diesel and gasoline engines. At any given point in time, every power measure and reading will always be read at the rate of the RPM of the vehicle’s engine. To know more, visit the New Jersey State Auto Auction. Is it Possible for an Everyday Used Car to Get 100 MPG? The automobile industry has been persistent in trying to achieve one of the most cherished milestones of all-time. Automakers have been trying to achieve a 100 mile per gallon fuel figure for decades now. The concept of having fuel efficient vehicles had very economical and financial beginnings, however, it has also taken an interesting stance on becoming more environmentally sound. The automobile industry has also been actively trying to make more environmentally sound vehicles that do not harm the environment at the cost of human existence. The price of gas has been rising for a long time now, particularly due to the dearth of the commodity. This has challenged automakers for the longest time. Japanese, American and German automobile manufacturers have been at the forefront of trying to come up with the 100 mile per gallon vehicle but have been able to land just shy of the target. In light of the recent developments, Google, has begun to experiment on creating a hybrid car fuel to be able to reach the goal of 100 miles per gallon. Google has been actively tying up with various automobile companies as part of their philanthropic organization to establish the cherished goal. To know more, visit the New Jersey State Auto Auction today. Posted in Uncategorized | Comments Off on Is it Possible for an Everyday Used Car to Get 100 MPG? In most cases, not many people who purchase used vehicles are aware of the nuances of the engine functionality. Even though a basic formula of functioning exists, in terms of engineering practicality, there are several nuances that apply to the production of an engine and the vehicle. For instance, direct fuel injection engines were not thoroughly understood for the longest time. It is important to understand the theoretical functionality of the direct fuel injection engine in order to understand the nuances of the engine. To begin with, the fuel is shuttled from the main fuel tank, through fuel pipes, and all the way to the nozzles that open up to the fuel injectors, which are syringe like nozzles that spray the fuel directly into the combustion chamber. Once the fuel is directly injected into the chamber, the valves open, letting in a certain amount of air and then shuts immediately. At this point, the valves shut tightly again while the spark plug ignites the chamber causing an explosion that allows the pistons to move, which in turn makes the crank shaft move. The crank shaft is connected to the axel and the wheels. This is how the direct fuel injection engine works in theory. Depending on the various brands and degree of engineering innovation, the fuel injectors may be located in different areas of the engine to allow more fuel efficiency. To know more, visit the New Jersey State Auto Auction today. According to Consume Reports, used cars are more reliable now than ever. After analyzing annual subscriber surveys from past years, CR found while rust and exhaust problems used to be common in five-year-old vehicles, it's no longer an issue. Major engine and transmission problems have also decreased, proving used cars are at less of a risk for standing as an unreliable choice. It is said that most cars today should be able to pass 100,000 miles – some even reaching 200,000 – as long as proper routine maintenance is performed. Most cars can pass 100,000 miles nowadays. Not only is the payment you're putting down on the used car going to be less than a new one, but other costs will be lower, too. Typically, financing a used car comes with a lower monthly payment, and insurance costs are usually decreased as well. And according to Bankrate, registration fees are also lower for used cars. Overall, by choosing to purchase a used car instead of a brand new one, you and your wallet are going to be happy. For some, buying a used car seems like risky business. How do truly you know what the car went through in the past? 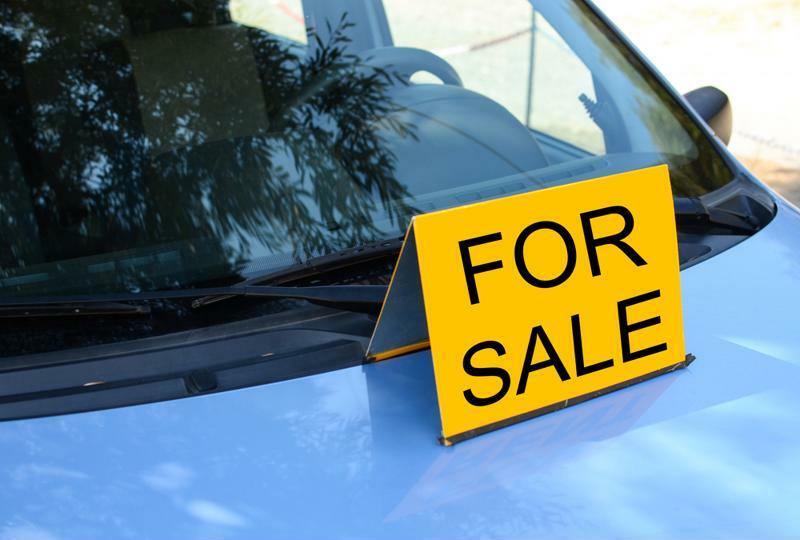 You could trust the seller to be honest with you, but what happens if he isn't and you find yourself on the side of the road after a week of owning the car? Thankfully, nowadays most used cars can be checked with Carfax, a company that produces a full report to provide valuable information about the vehicle's history. Before buying, ask the seller to show you a history report. If he neglects to provide the information, take that as a red flag and search elsewhere. After deciding to buy used, head over to NJ Auto Auction, where you'll find a lot full of Carfax-certified vehicles to choose from. Whether you're ready to move on to bigger and better things or you just want to say goodbye to the clunker in general, selling your car can be a gratifying feeling. However, it's not as simple as parking it out front, throwing a "for sale" sign on the windshield and calling it a day. You're going to have to prepare the car for its new home. By getting your car in shape for top sale, you can help your customers get more bang for their buck, all while receiving a pretty penny to put on a down payment for your new ride. 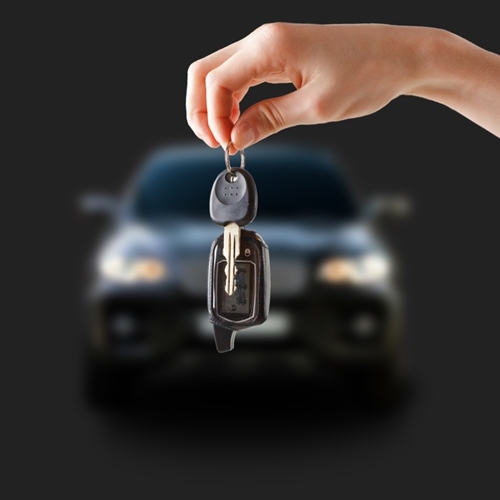 Don't neglect your car before handing the keys over to a new owner. Instead, follow these tips for getting your car in top shape for sale. Before you take care of any maintenance issues, it's important to start by giving the looks some love. Forbes talked to a number of car experts and they all agreed that cleaning and detailing the car is the first step you should take to get it ready for point of sale. Ebay Motors Senior Manager Clayton Stanfield told Forbes it's a crucial yet easy task for prepping your car for a new owner. "Invest in a thorough shampoo and vacuum job." "Thoroughly cleaning your vehicle is absolutely crucial – it's one of the simplest things you can do," he said. "You want to make sure that your potential buyers are seeing your vehicle at its best." Invest in a thorough shampoo and vacuum job – it'll be well worth it in the long run. After giving your ride the clean and polish it deserves, it's time to analyze the car's current performance. Your next step in preparing your car for sale is to do your research. 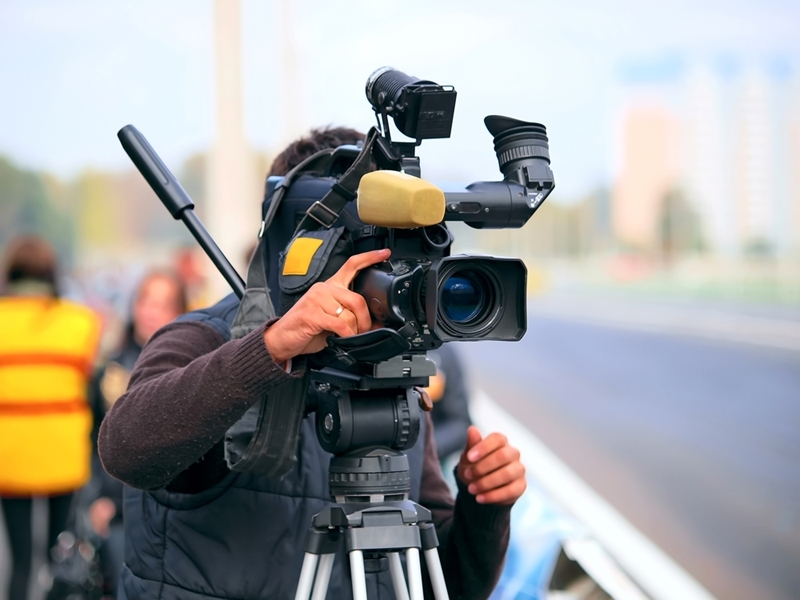 Find out your vehicle's value and check local listings to see what else is out on the market. Also, search sale history of similar vehicles in your area – this can give you a better idea of what to expect when selling your car in regard to profit and timeliness. Also, if you've been good about taking care of your car, make sure to gather proof to share with the buyers. About.com's Keith Griffin told Forbes that this is a critical part of the research process. "Service records are immensely important in a private sale to show prospective buyers that things have been taken care of at the right intervals," he said. Taking care of your car all of those years can really reward you in the end if you've saved documentation. Sure, you're ready to get rid of this car, but you're not going to sell it if you have outstanding damage that needs repairs. Whether it's noticeable scratches and chipped paint or the check engine light is on, the buyer is going to hesitate when it's time to make a deal. Carsguide suggested investing your time and dollars into making these repairs. Depending on the damage of the car, it might not even cost you much. Just take the car to the shop, get an estimate for the repairs and ask if it's worth it – a maintenance worker can give you great advice about your ride. Repairing dents and scratches before putting it on the market could determine it's likeliness of selling. According to Car Talk, it's in your best interest to top of all fluids before putting your car on the market. That means getting the oil changed and filling the brake and windshield fluids. This shows the buyer that you've been taking care of the car. It also suggests that you care about the buyer – who wants to see the oil light come on over the dashboard only days after buying a car? If you've successfully sold your car and you're ready to start your search for a new vehicle, head to NJ Auto Auction. There, you'll find a lot full of inexpensive Carfax-certified used cars to choose from. For the most part, when it comes to motorsports across the world, it is generally gas guzzling vehicles that seem to come to mind. Whenever there is a motorsports angle on anything, there is always an environmental angle to be considered. It is always seen as a problem when it comes to sustainable growth and development of the world. The most prominent sport in the motorsports space is the renowned Formula 1. Additionally, there are various other races like Formula 2 and Formula 3. These are essentially the same races with different norms and rules, and also different engine sizes and segments. The new rage, however, is Formula E. It is basically something that has evolved after due importance given to the environmental issue that has been looming over the world and many global issues for a long time. Formula E has also evolved in motorsports competitions to display to the world the alternative and equally efficient forms of energy that exist to power vehicles at high speeds for motorsports enthusiasts. The ‘E’ in Formula E stands for electric, which basically means that all the competing vehicles are electrically powered and do not have any carbon footprint. The move to create an alternative energy platform for motorsports by the FIA was hailed by environmental agencies across the world. To buy a used vehicle that is also environmentally friendly, visit the New Jersey State Auto Auction today. Lemons seem to be on everyone's mind since Beyonce released her latest album album. However, in the car world, lemons are not as fierce as Queen B makes them out to be. In fact, buyers should be wary of dealers who try to sell them "lemons." Lemon cars are vehicles "that have a substantial defect covered by the warranty that occurred within a certain period of time or number of miles after you bought the car, and can not be fixed after a reasonable number of repair attempts," according to NOLO.com. The source reported that about one percent of all the vehicles sold in the United States each year qualify as lemons. Though lemon cars aren't as big of a concern for buyers as they once were, people should still know how to spot them. 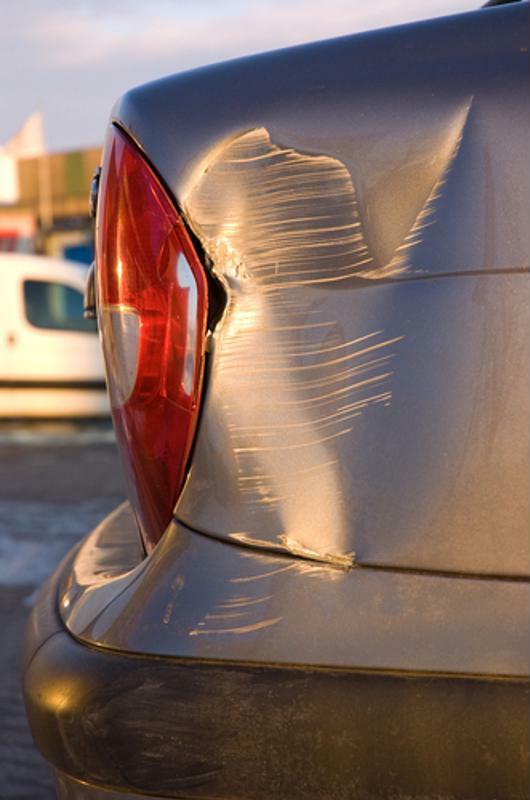 Most people will be able to spot a questionable car immediately, but some damage is harder to catch. If you're buying a used car, do an inspection of the interior and exterior. 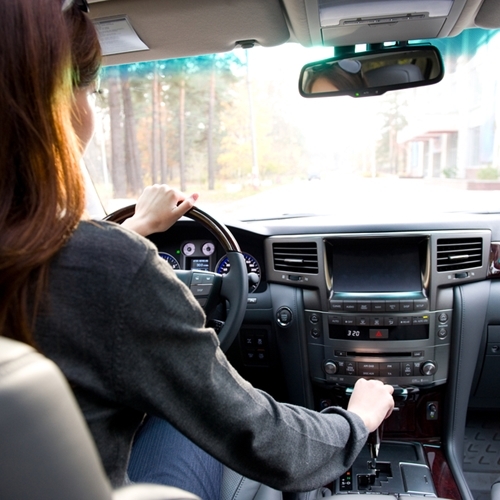 Interior – You should be wary of cars that smell of mold or mildew. This can be a sign of faulty window seals or past flooding. You should also check the dashboard system to ensure all the gauges work correctly. Frayed seatbelts and worn pedals are also signs of high mileage. Exterior – The paint job is a good indication that work has been done to the body of the car. If you notice mismatching or slightly varying paint, it can be a signal to you that the car required maintenance. Checking the tires, suspension and engine for signs of visible damage is also a smart idea. By inspecting the car thoroughly and using your best judgment, you can lower your risk of getting stuck with a lemon. Even if your dealer isn't being honest with you, a car history report will be. Either request this from the seller or find one yourself online. These reports will inform you if your car has ever been involved in an accident or recall, undergone heavy maintenance or been repossessed. It will include information that a dealer may neglect to tell you if you don't ask outright. CarFax and Lemon Checks are two great websites for accessing vehicle history reports. The surest way to avoid purchasing a lemon is to work with a dealer that has an excellent service record. 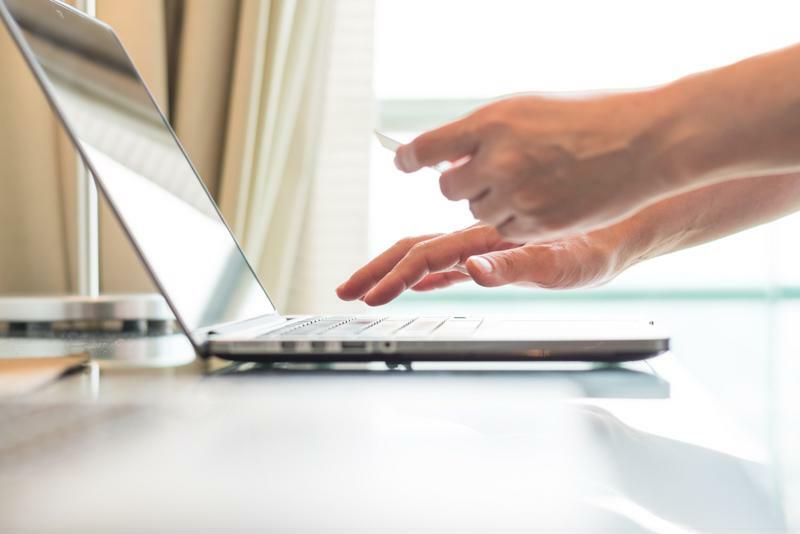 Take the time to carefully research different car sellers online. You can read customer reviews and compare competitors. The more research you do, the more comfortable you will feel knowing that you're working with someone trustworthy. 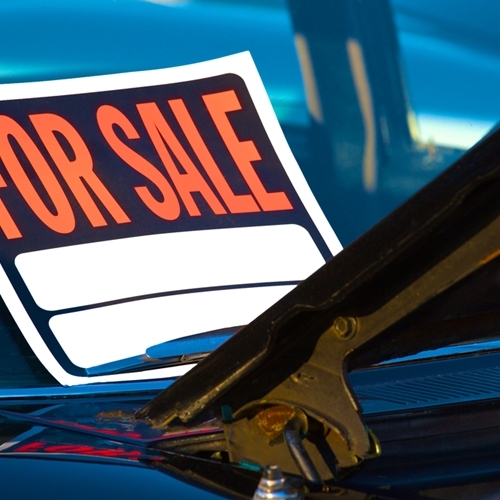 No one wants to purchase a vehicle they love only to find out that they've been duped. Knowing how to spot lemon cars could prevent buyers from getting stuck with a useless ride. If for some reason you do end up with a lemon, the DMV has a full list of the Lemon Laws in every state. Just like you wouldn't walk into the SATs without studying, you shouldn't walk onto a car lot without doing research. Fortunately for you, the internet has made vehicle research easier than ever. There are plenty of websites dedicated to helping you compare different models, and there are even sites that will help you determine your budget. With the exception of a very select group, few people have the amount of cash needed to buy a car outright. If you aren't one of these people, you'll need to decide how to finance your purchase. Keep in mind that if you don't have an established line of credit, it could be difficult to obtain a car loan. A co-signer can make this more feasible. Good dealerships will have a financing department to help you, as well. While you might have a burning desire to buy that Porsche or BMW, the insurance rates on higher-end vehicles can be pricey. Make sure that you choose a car that will fit in your budget even after it's insured. Your financial advisor or an online budgeting tool will help you plan for this. 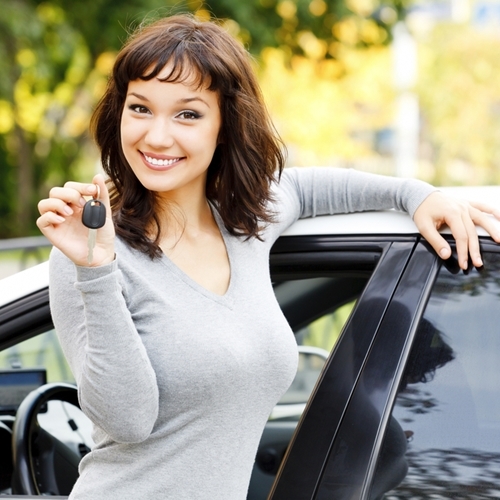 Buying your first car is an exciting experience, especially when you make an informed purchase. No reputable dealer should ever ask you to make a car purchase without taking a test drive. This is your opportunity to make sure there is nothing obviously wrong with the car while driving. More importantly, a test drive will tell you if the vehicle is one that you will enjoy driving for years to come. Unfortunately, there are some car dealers who will try to take advantage of first-time car buyers. When choosing which dealership you want to work with, look for two qualities: transparency and reputation. 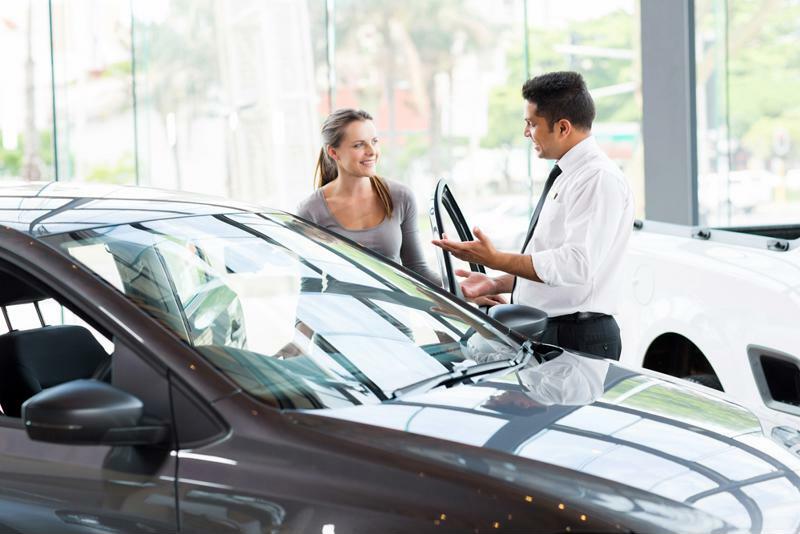 In terms of transparency, the dealership should offer clear, concise contracts and helpful salespeople. The dealership you select should also have a proven track record of excellence. Read online reviews and talk to previous patrons to make sure they have impressed their other customers. Get excited! You're thinking about buying your first car. While it's normal to feel some nervousness, hopefully this article made you feel more prepared. If you follow the advice above and do your research, you should find that the process is relatively smooth. For more car-buying advice or to shop for excellent used cars, visit the New Jersey State Auto Auction website today. The brakes of a used vehicle are arguably one of the most important and vital components of the safety and security of any vehicle, which translates to the safety and security of you and your family. Always keep in mind that no matter the power of the vehicle, the brakes must be kept well and in regular maintenance at any cost and under any circumstance. The brakes are essential to keep in check, and need a regular oil and brake fluid check. Brake oil fluid is imperative for the brakes to last for a longer duration of time, and to function well. The brake oil ensures that the constant friction of the brakes do not inundate the brakes through constant use. The brakes are one of the only parts of the vehicle that are subject to such intense friction. The constant use of brakes is obvious to cause friction, which in turn obviously causes a lot of heat between the brake pad and the brake disc. Any additional friction would wear out the brake components rendering it useless. However, the brake oil regulates the temperature and life of the brake parts and ensures that all the brake parts are cooled down before it burns out and is useless. The use of brake oil also ensures that the brakes remain smooth and do not turn jagged through overuse. To know when the brakes of your used car need oil, visit New Jersey State Auto Auction today. Cars truly are an investment. 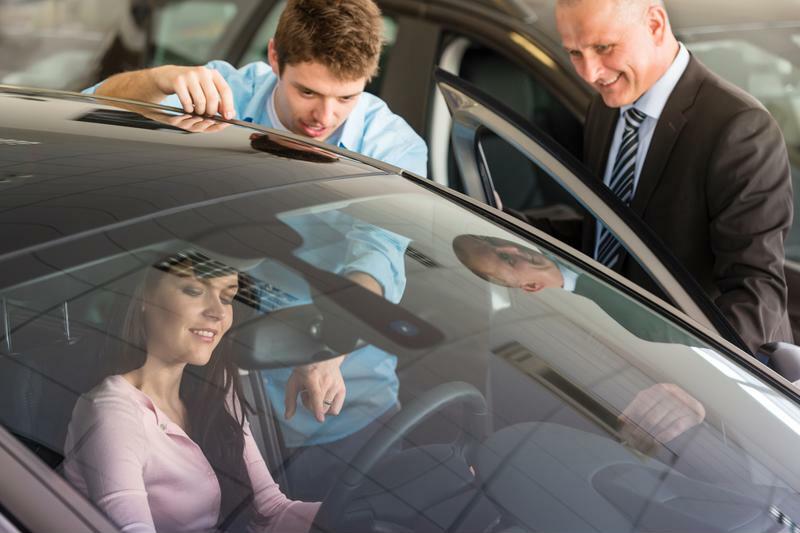 If you make smart decisions when purchasing, take good care of them when they are in your possession and work with a reputable dealer, you could receive a decent amount for your trade-in value when you re-sell the vehicle. How do you take care of it while you own it? Simple. Avoid driving like you're in a Fast and Furious movie and get your car serviced regularly. Now, how do you know you're dealing a reputable car trader? Again, it's easy. Do you research and trust your instincts. Have you ever glanced outside your window in the morning only to be greeted by the blinding light from a fresh snowfall? The last thing you want is to fumble around with your keys to unlock your car. You probably don't want to run outside in the cold to start your car either. That's why so many car buyers are interested in keyless entry and startup capabilities. It's a simple, inexpensive luxury that makes cars more desirable than vehicles without these features. If you've ever wasted a few precious hours on a road trip or missed an appointment because you were lost, you understand the importance of a navigation system. Many newer car models include this feature, and it's a good idea to look for this amenity when considering a car. It can greatly increase the resale value of your vehicle. In fact, Forbes reported that 61 percent of car buyers stated that a built-in navigation system was one of the most important features they wanted in their cars. This feature is most popular with the younger generations. The auxiliary port allows them to connect their phones to the audio system and play their favorite music. Getting control of the aux cord has even become a badge of honor to millennials , since it means that their taste in music is respected by their peers. Cars with these features tend to have a higher resale value because they cater to the needs of many prospective buyers. When buying a car, be sure to consider its future value. Perhaps the safest of the desired features on this list is the rear view camera. Not only does it make it easier to back into tight spaces, it makes it a lot safer. Rear view cameras were designed to help drivers see things they wouldn't have previously been able to when the vehicle is in reverse. Many be equipped with a guiding grid to make difficult navigation even simpler, while others come with infrared night vision capabilities, meaning you can back up safely even in the dark. Though they may seem like an unnecessary luxury, Forbes reported that heated seats were the second most requested feature in cars. Drivers who live in colder climates may be even more appreciative of heated seats. They add a level of comfort and can even help with back pain on long drives. This is another feature that is preferred by younger drivers. Technology is central to their lives, and therefore, they expect all aspects of their lives to accommodate this. As more of these tech-driven individuals come of driving age, cars with USB ports for charging cell phones and other electronics will become more popular than cars without. Car owners with the foresight to purchase vehicles with this feature may get more money upon resale than those without it. When buying a new car, it can be easy to forget about the future resale value. However, drivers who pay attention to market trends, such as the most preferred features, could get a better deal when they choose to sell their vehicle. It's important to remember that trends change, and if you are unsure of how to plan for the best future value, you can consult a car-buying expert like New Jersey State Auto Auction. 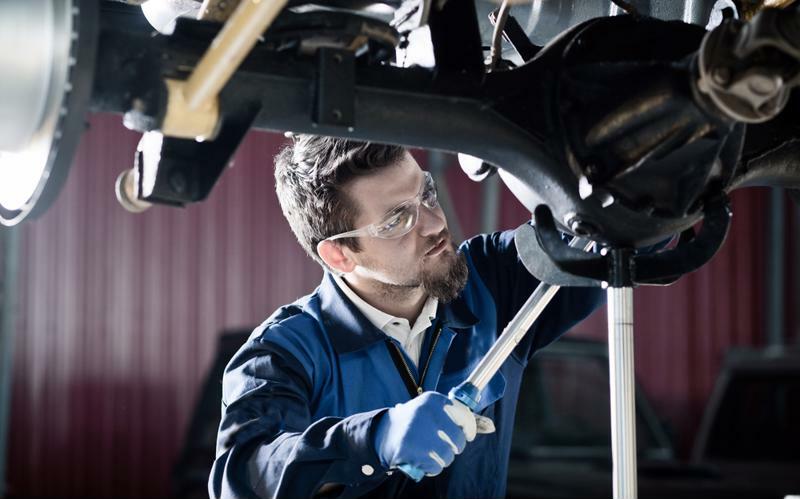 Once the need for brake oil change has been decided, it is important to follow the right procedure for changing the brake oil of your used vehicle. It is best to ensure the right kind of oil and change for your brakes to ensure the longevity of your brakes functioning. The brake oil is central to the long life of your brakes. As a rule of thumb, it is safe to assume that any important oil or liquid change in your vehicle parts must be done if the color of the oil or fluid is very dark and brackish. A dark black or dark brown fluid is a universal sign for fluid change. Once you figure the need for a change or top off of brake fluid you must locate the brake reservoir. The brake reservoir is in most cases a plastic reservoir that holds the liquid and is located under the bonnet. In the case of changing or topping off your brake fluid, not much has to be done as it is a shallow reservoir that connects directly to the brake cylinder. In most cases brake fluid lasts for over six months, depending on your usage. After six months you may need to top off your brake fluid instead of changing it. In case you are unable to top off or change your brake fluid after following the manual directions, it is safer to consult your local mechanic. To know how to top off brake oil in your used car, visit New Jersey State Auto Auction today. The steering fluid is a vital part of steering and handling maintenance of a used vehicle. It is extremely important to have a good upkeep of your steering liquid in order to avoid any steering jam or rusty functioning. The steering liquid is crucial as it is imperative to ensure the safety of you and your family while driving. The steering liquid is one of the most important checks to be made amongst others while servicing your vehicle. There are some evident signs to lookout for while checking and changing your steering fluid. Once you have located the reservoir cylinder under the bonnet of your vehicle, you must use a dipstick in order to check the levels and color of the steering fluid in the reservoir cylinder. Typically, dipsticks would be part of your car purchase, or else it is easily available at any automobile store. Once you have the dipstick, dip it into the cylinder and check the level of steering fluid. Always subscribe to the levels suggested in the owner’s manual. Once you are done with the level, check the color of the fluid. If it is too dark, change the liquid and fill in a new batch which should be a dark amber color. Use a funnel to add fresh steering fluid according to the recommendations in the owner’s manual. To know more, visit the New Jersey State Auto Auction today. It is not necessary to take your car to your mechanic for each and every repair. There are certain repairs that you can do by yourself. It will save you money and time. A few of the easiest car repairs include replacing a fuse, replacing the wiper blades of your car, replacing the light bulbs, replacing the air filter, keeping the brake/clutch fluids at the optimum level, and so on. You can use your car manual for guidance. You will also be able to find many DIY car repair resources online as well. Plenty of ‘how-to’ guides are also available in the market for your reference. On top of that, some of the staff members in the auto parts store would also be able to help you to change out the parts that you just purchased from their store, right there in the parking lot. Another advantage (apart from saving money and time) of learning a few basic repairs is that, if your car breaks down in the middle of nowhere, you will be able to fix the problem yourself and be on your way, as long as the problem is minor and something that you could fix. Always keep some basic tools like screwdrivers, screw holders, wrenches, pliers, and so on in your vehicle. Also, do not be afraid to get your hands dirty. You may visit the New Jersey State Auto Auction to service your vehicle or/and check out pre-owned cars and trucks. 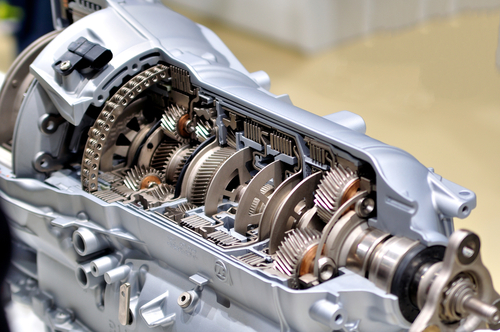 The transmission is an important piece of machinery in your vehicle. In fact, it is only second to your vehicle’s engine. The repairs as well as replacing the part is a costly affair. Take care of it properly and you will be able to avoid unnecessary repairs and extend the life of your vehicle’s transmission. Following tips will help you to take care of the part properly. Service the transmission periodically, every 2 years or 30,000 miles. Do an overall transmission flush (including cooler lines, transmission cooler, and the torque converter) every 40,000 miles. If possible, make bands adjustment every 60,000 miles. This may be costly, however, in the long run, it will be worth it. The fluid can go a long way in extending the life of your transmission. Check the fluid on a regular basis. If you are using a petroleum-based fluid, consider upgrading to synthetic fluid. They hold up much better to heat. Over a longer period of time, they hold up much better to their properties as well. Keep in mind that it is vital to use the right type of fluid for your vehicle. Add an additional filter to the cooler line. It will help to provide an extra protection to the fluid from contaminants. A transmission cooler of good quality, preferably one with a built-in fan, will provide extra protection to the transmission. Heat is bad for transmission. Keeping the transmission as cool as possible will help to prolong its life. It is also important to maintain the cooling system. Service it every 2 years. Maintenance should include radiator cap pressure test, thermostat check, inspection of belts and hoses, checking for damage and leaks, checking the coolant levels, and antifreeze replacement. You may visit New Jersey State Auto Auction to service your car or check out pre-owned cars and trucks. Buying a car is serious business, and it can be an intimidating process. If you're considering purchasing a used car, things can get even trickier. Not all dealers have reputable sales methods. For this reason, it's important to understand the used car-buying process and ask the right questions. Is this car in my budget? The first step for any potential car buyer is to determine how much they can afford to spend. It's a smart idea to compile a list of cars you are interested in to get insurance quotes, check tax rates and compare payments. This will help you narrow down your list to vehicles that will fit comfortably in your predetermined budget. Remember that selecting a car you can't afford can lead to poor credit and other negative consequences. Consult with a financial advisor if you need help establishing a budget. Does it have a vehicle history report? Before you purchase a car, you should run a vehicle history report. All you need is the Vehicle Identification Number to determine if the purchase you are about to make it a good one. These reports will outline the vehicle's past ownership. The Department of Motor Vehicles also reports that these will also tell you if the car has ever had maintenance done, if there have ever been problems with the title, if there are any liens on the vehicle, if the car was ever involved in an accident and whether the car has ever been classified as a "lemon." A vehicle history report will ensure that the used vehicle you select will operate as you expect it to. Asking these questions will help you get the best used car in your budget. Did I notice anything unusual in the test drive? The test drive is another important part of the car-buying process. It allows you to get behind the wheel of your desired car and see how it handles. A test drive will also alert potential buyers to any issues before a sale. During a test drive, you should be vigilant for any problems with performance. Your test drive doesn't end once you return to the car lot, though. You should open and close all doors, windows, the trunk and the hood to make sure that they operate properly. Am I getting this car for the best price? Everyone wants to make sure they are getting the best price when buying a car, but to guarantee this, you must do a little research. Online price guides will tell you how much the model year is worth, but it's up to you to negotiate the true value. If the car has had significant work done, it is usually smart to talk the price down. Buying your first used car may seem like an overwhelming experience. However, if you educate yourself and ask the right questions, you will find yourself in a much better position to purchase the used car of your dreams. To find used cars that are reliable and affordable, click here. As the weather warms up and schools close down, road trip season approaches. Summer brings with it those few months out of the year when families are able to pack up the car and hit the open road. Yet, before you and your loved ones make the journey to your favorite destination, you need to make sure your car is as prepared as you are. Take a look at the checklist below to ensure your vehicle is ready or your road trip. Taking the time to learn about your car can save you trouble and confusion down the road. If you are able to identify important features and know how to perform basic maintenance, you will be more prepared to handle a breakdown or other issues during your trip. You should also know what type of oil your car takes and on which terrain it drives best. This information will make your trip much less stressful. Taking your car to a professional for a checkup is one of the best things you can do before going on a long journey. A mechanic's trained eye will be able to spot leaks, cracks and other issues that could cause problems on the road. At your checkup, be sure the mechanic checks the levels of all fluids, tests the breaks and examines the engine for any irregularities. He or she should also replace headlights and air filters as needed. Getting an inspection by a professional will ensure your vehicle is safe for the road. Nobody wants a vacation spoiled by tire trouble. Before you begin your trip, examine all the tires on your car for signs of damage. If the treading is worn down or the rubber has begun to split, it is a smart idea to replace your tires before you begin your journey. You should also check the tire pressure and alignment. When your primary tires are set, inspect your spare. It should also be properly pressured and free of damage. Anything can happen on the open road. For this reason, an emergency kit is a vital part of preparing your car for a road trip. The Department of Motor Vehicles recommend that your kit include road flares, a tire jack, a first-aid kit, jumper cables, a blanket, a flashlight and bottled water. Click here for the full list. If your vehicle does not have built-in navigation capabilities, you should think about purchasing a GPS system. This ensures that, even if you have no cell phone service or map, you will be able to navigate your route with confidence. A road trip is a great way to spend the summer, but don't let car problems get in the way of a good time. By following the checklist above, you can help ensure that your vehicle is prepared for whatever journey lies ahead. Visit the New Jersey State Auto Auction for more car tips. Even if you've found a used car that fits within your budget, there are a number of separate expenses you need to consider. Between licensing, registration, maintenance and fuel, you're going to be putting a lot of hard-earned cash into driving. Insurance is another cost you need to keep in mind, and it's one that varies by hundreds of dollars, according to the Insurance Information Institute. While you can't avoid paying for insurance by any means, there are a number of ways you can lower the costs and save yourself some money. Because each company provides a different price for car insurance, it's in your best interest to shop around. Taking the time to do research online, asking for referrals or even calling the company to discuss straight-forward prices can really cut back the expenses. Gather quotes from multiple companies and sit down and compare before making any decisions. You can also call your state insurance department for information – they might even be able to recall customer complaints for certain companies. Overall, doing your research before settling with an insurance company can really save you money – and headache – in the long-run. Maintaining a good credit score has a number of benefits – it lowers interest rates on loans, approves you for higher limits on credit cards and it even gets you better insurance rates, according to the Huffington Post. Many auto insurance companies use credit information as a platform to price auto insurance. Make it a point to establish and maintain a good credit score, and frequently check up on it to make sure there are no flaws in the information. Check your credit score frequently to make sure your maintaining a good standing. This one may seem like a no-brainer, but it's a simple way to lower your insurance, according to Kelley Blue Book. People with clean driving records can often qualify for discounts, while those who drive recklessly and have been in more accidents see spikes in their insurance rates. If you want to lessen the likelihood of an accident occurring, the source recommended driving less in general. Low mileage discounts are offered by most insurance companies, so consider carpooling with a family member or friend to work. This can save both of you miles and money. By raising your deductible, you'll have to pay more out of pocket if an accident occurs. However, you could save anywhere between 15 and 40 percent in collision coverage costs if you increase your deductible by a few hundred dollars. It might seem like a large expense to begin with, but it's an excellent decision to make for long-term costs. "Companies will help you save money if you're willing to combine policies." If you already have homeowners insurance with a certain company, it's in your best interest to go through the same company for your auto insurance, according to Bankrate. If you go through a different one for each policy, you're bound to be paying higher expenses than you should. Insurance agent Art Scott told the source that companies are more likely to work with you to save money if you choose to combine policies with them. "The more lines (of insurance that insurance companies) can get, the more they're willing to give discounts for it," he said. There are so many different ways for drivers to get insurance discounts, according to III. Some companies offer lowered rates for drivers who have not been in accidents during a certain period of time. Others even offer discounted rates for drivers who have take a defensive driving course. If you've committed to a certain insurance company, dig deep to find out how you can save money with them as a policyholder. Whether you're interested in buying a new used vehicle or you're searching for a car for a loved one, head to NJ Auto Auction, where you'll find a lot full of Carfax-certified rides to choose from.